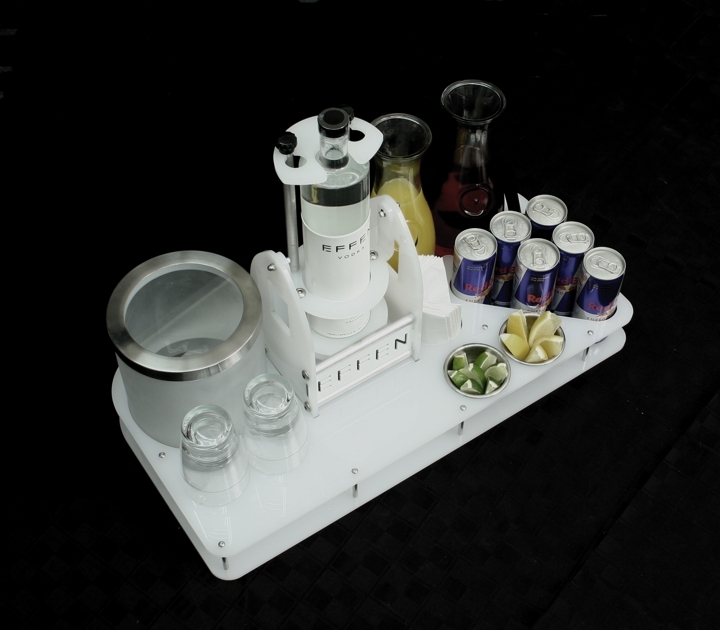 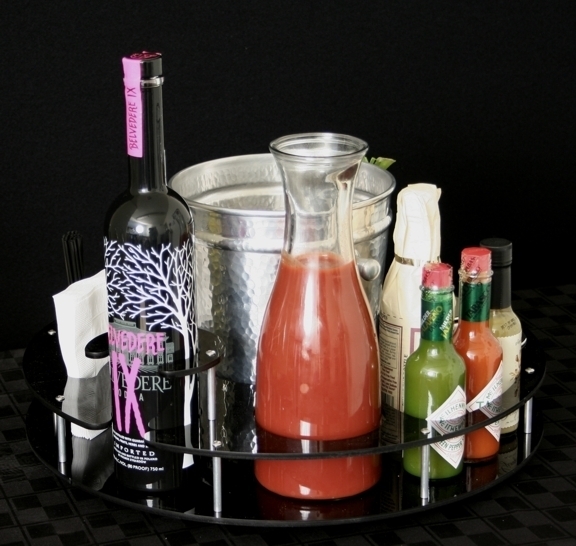 Trays created to display and serve your particular brand. 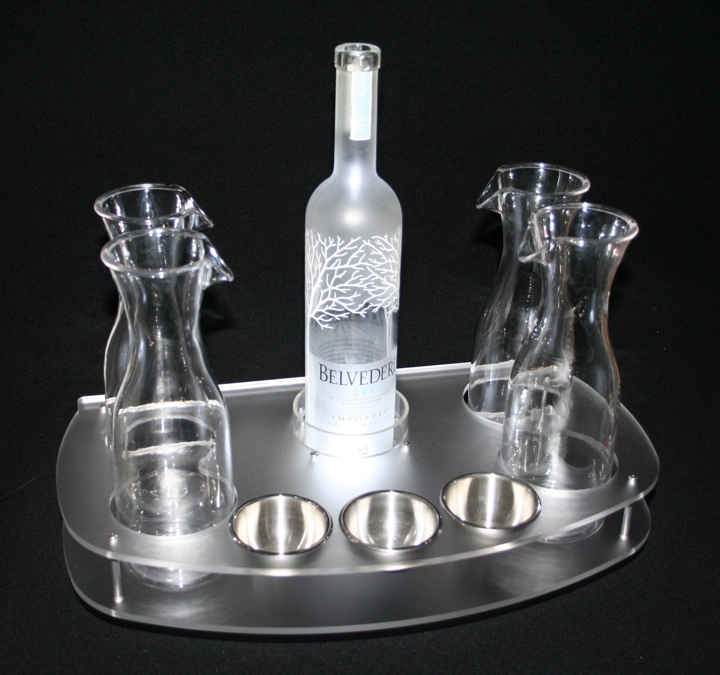 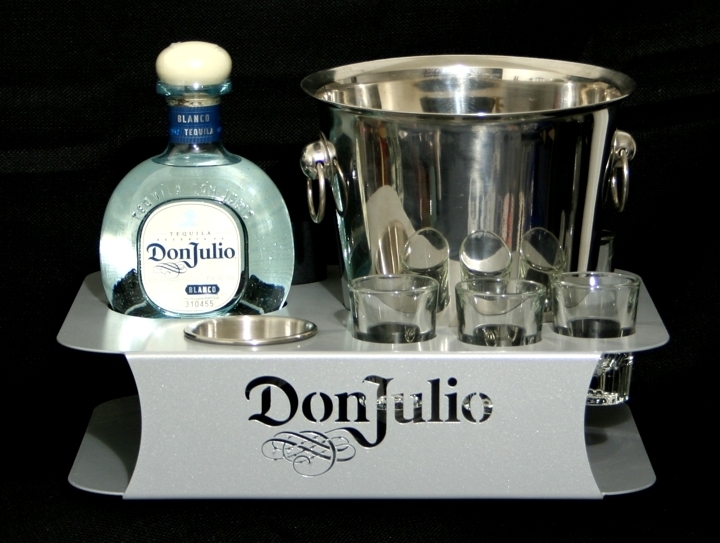 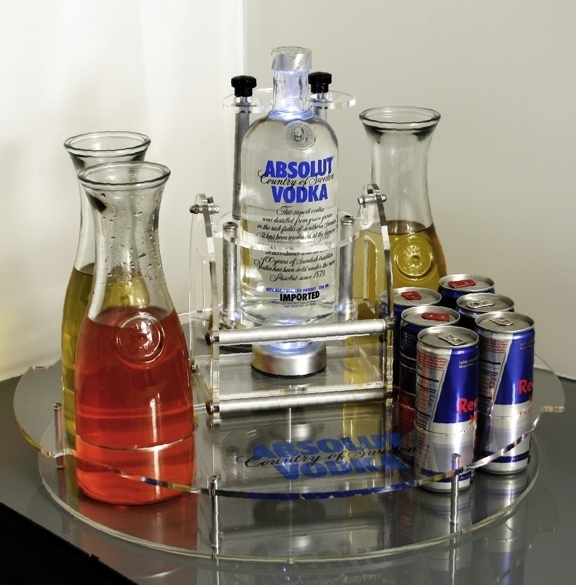 Bottle Tube Trays All available with locking top option while creating a beautiful display center piece. 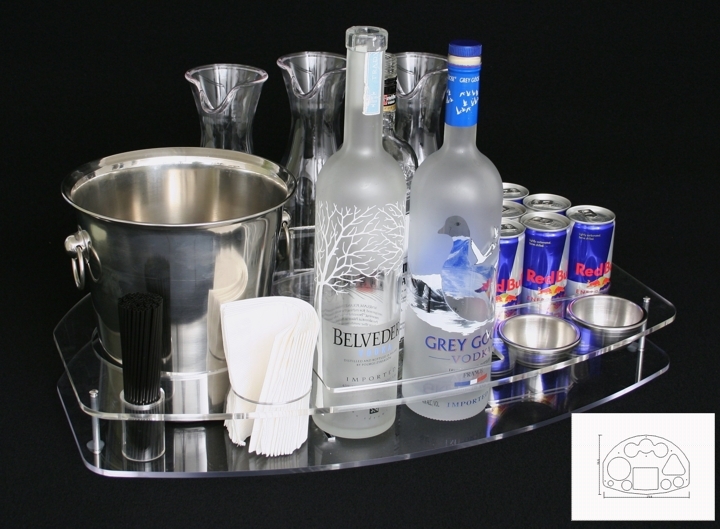 Pivot & Pour Trays Any tray becomes an "Activity Center" with theuser friendly "Pivot & Pour" Branded Trays Let us customize your tray with good looking art applied.We offer printed as well as laser cut and laser etched branding options available dependent upon art work. 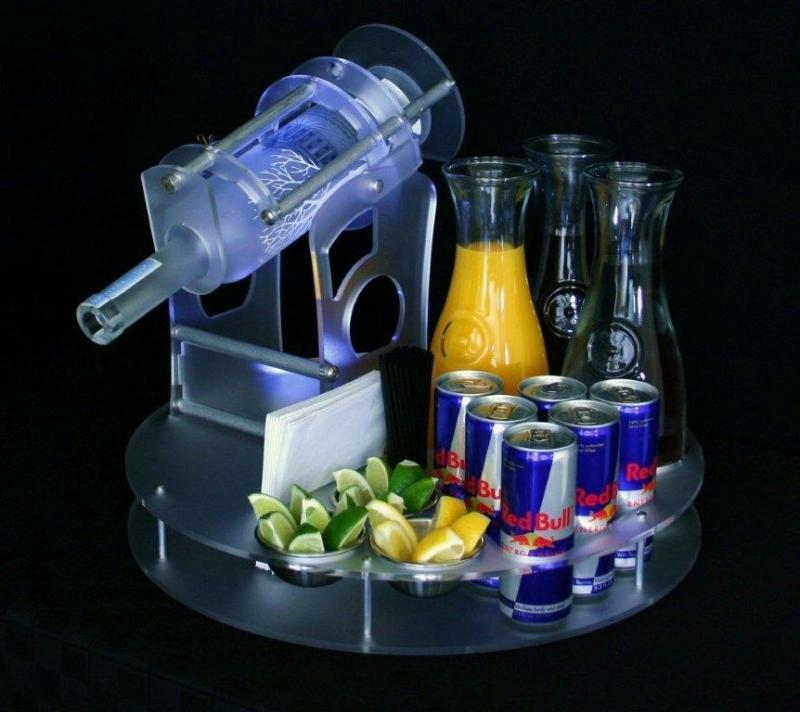 Puts the bottle glorifier at the table.